This book, Capital in Disequilibrium: The Role of Capital in a Changing World by Peter Lewen, is supposed to be Austrian Economics’ answer to “new growth theory”, which recognizes that new human knowledge is the most important component to economic growth. As opposed to the “old” ideas on growth which claimed economic growth was the result of increases in land, labor, or capital. Old school growth theories focus primarily on increases in capital. Perhaps the two biggest figures in new growth theory are Robert Solow and Paul Romer. Robert Solow won the Nobel Prize in economics for his econometric study showing that technological change was the key driver in the US economy. Sadly he then said technological change was not part of the study of economics, it was like background radiation and beyond our control. Paul Romer takes over from Solow by making technological change part of the study and policy recommendation of economics. This book suffers from many of the same problems other economists who have explored new growth theory have had. They attempt to graft the findings of new growth theory onto their preconceived ideas about economics. For example, Robert Solow is a Keynesian so he has attempted to just tweak Keynesian ideas to fit this new information, instead of understanding that this new information required a whole new look at and approach to economics. Paul Romer is what I would call a “mathematical Keynesian” and is also trying to fit a square peg into a round hole. This book attempts to take the finding s of new growth theory and meld them into Austrian Business Cycle Theory (ABCT). ABCT claims that economic growth is the result of increases in capital/savings. There is no evidence that increases in savings or capital in anyway result in economic growth and plenty of evidence to the contrary. Pasting some of the ideas of new growth theory onto ABCT neither solves the problems with ABCT nor adds anything to new growth theory. The author’s ideas on scientific and technical knowledge come from Karl Popper, who has argued that knowledge is impossible. This is not surprising as it is consistent with Hayek’s ideas of cultural evolution, which argues that reason is limited and it is conceit to suggest that anyone can use reason to determine a correct societal structure. Both Hayek and the author are fans of David Hume (See Lewin’s youtube “Peter Lewin on Austrian Capital Theory – Part 1”). 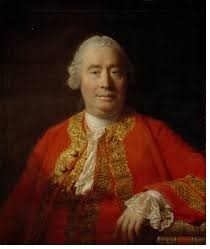 David Hume you will remember said causality was an illusion and brought us the “is ought” problem in ethics. In other words, Hume attacked the very basis of reason, logic, and ethics. Hume is part of the Scottish Enlightenment, which elevated emotions above reason. The Scottish Enlightenment underpins all of Austrian Economics. The other philosophical tradition behind the Austrians is philosopher Franz Brentano who raised the psychology of the person to a primary. Interestingly enough the author never explains what encourages technological advances and he never even mentions property rights for inventions, i.e., patents. Even Solow and Romer realize that they cannot ignore patents, however contrived their arguments are for dismissing them. [This] technique has been applied to virtually every economy in the world and a common finding is that observed levels of economic growth cannot be explained simply by changes in the stock of capital in the economy or population and labor force growth rates. Hence, technological progress plays a key role in the economic growth of nations, or the lack of it. http://en.wikipedia.org/wiki/Growth_accounting. Dear Dale: You write “There is no evidence that increases in savings or capital in anyway result in economic growth.” But your footnote (2) cites evidence that capital accumulation alone is insufficient to explain the phenomenon of sustained economic growth. Actually, capital is a contributor to labor productivity and economic growth, but with decreasing returns. So increasing capital will increase productivity, but for it to increase productivity at a steady rate over time would require increasingly large amounts of capital, and that’s not feasible. In short, there is lots of evidence that capital accumulation contributes to growth (it’s no accident that high-growth countries usually have high savings and investment rates). But capital accumulation isn’t the whole story. You are right that technological change is the key. Dear Will, I should probably clarify that increases in capital do not cause real per capita increases in wealth. Let me deconstruct this. At a fixed level of technology, once that technology is dispersed to every potential user then the economy can no longer grow. For instance, once everyone has a steam tractor that can take advantage of one, then adding more steam tractors will not increase the output of farms. Even this overstates the case for two reasons. One is that diminishing returns or entropy will result in a declining output in a technologically stagnant economy. Second, the attempt to increase capital in one area of the economy in a technologically stagnant economy means that this has to come from some other area of the economy, thus the overall effect is likely to be less output or at best stagnant output.